Tailor made to start at your desired date of travel – this safari offers high adventure, opportunity to view animals of the Indian jungle, drive through rugged hills, beautiful streams and rivers, tribal villages, ancient temples and forts and home to the Indian Tiger. 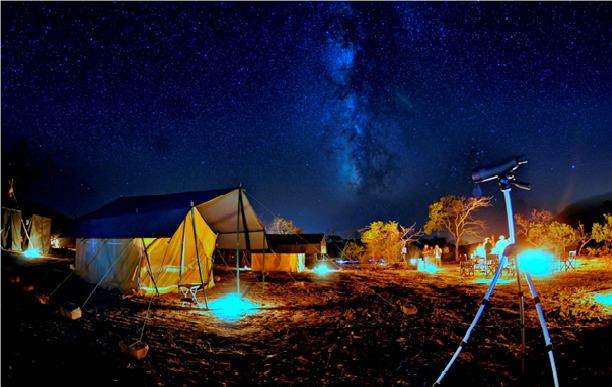 There is no electricity at campsites and accommodation is basic in tents with cots. Care is taken to provide personalized service and comforts. Camp cooks turn out delicious fresh meals to be enjoyed in exhilarating surroundings. 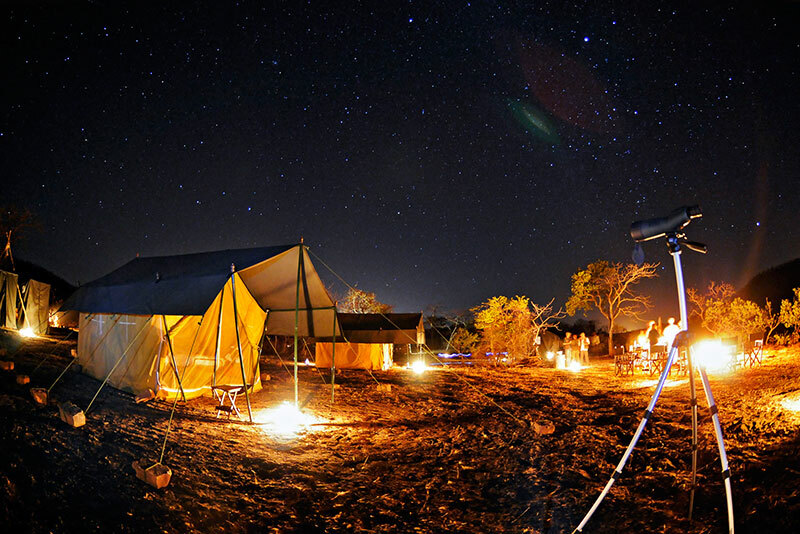 The safari operates from November to March and the number of guests is restricted to ten to provide good interaction and minimize pressure on camping out experience. 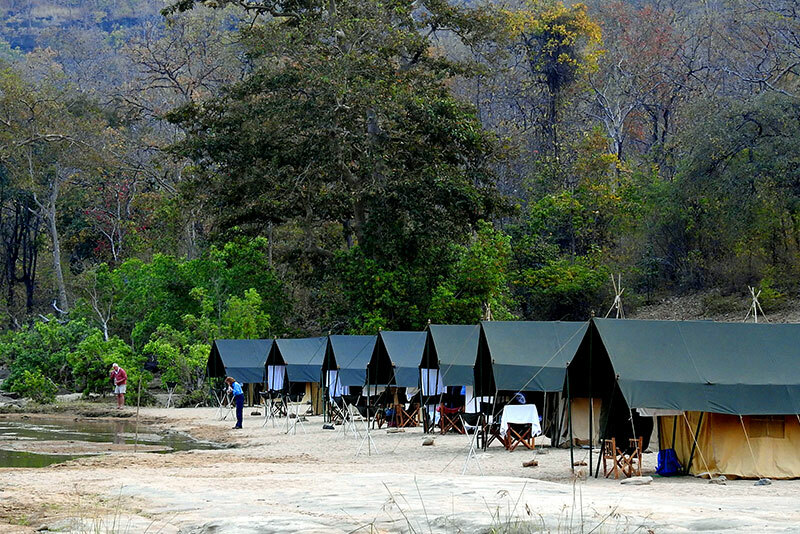 All the safaris are accompanied by a team of trained experienced naturalist and a camp core team. Day 01 After arriving Bhopal (by air or by train) you will be met by our representative and transferred to Denwa Backwater Escape, Satpura National Park (04 hours) visiting Bhimbetka enroute. Day 02 After breakfast you will drive 02 hours to reach the starting point of Mobile Safari. 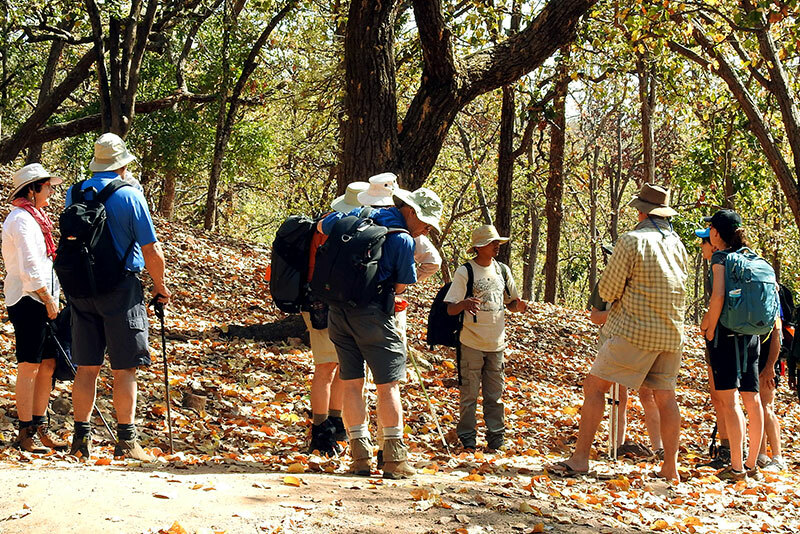 Start 03 hours trek to down hill through lovely Sal forest inside Satpura National Park to reach Village Kanjighat for a hot lunch. 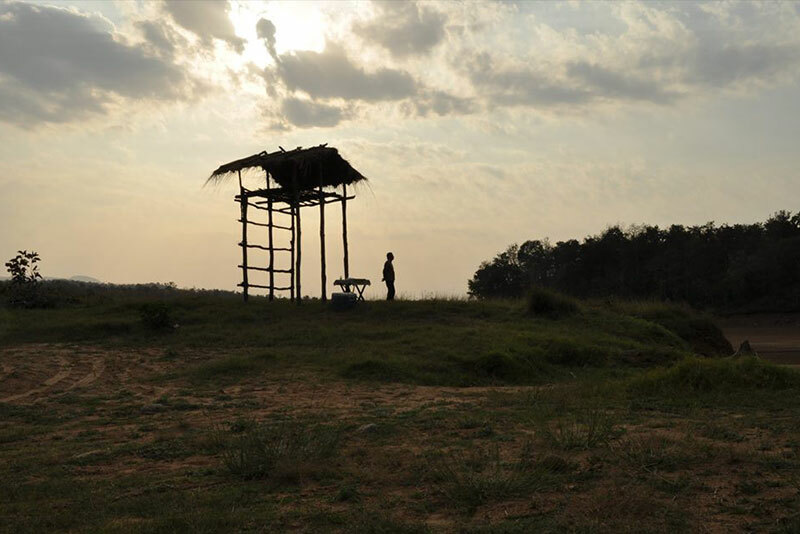 After lunch trek further 2 hours to reach Mobile camp 01 (Camp Bandhan) Retire at camp Bandhan for over night stay. 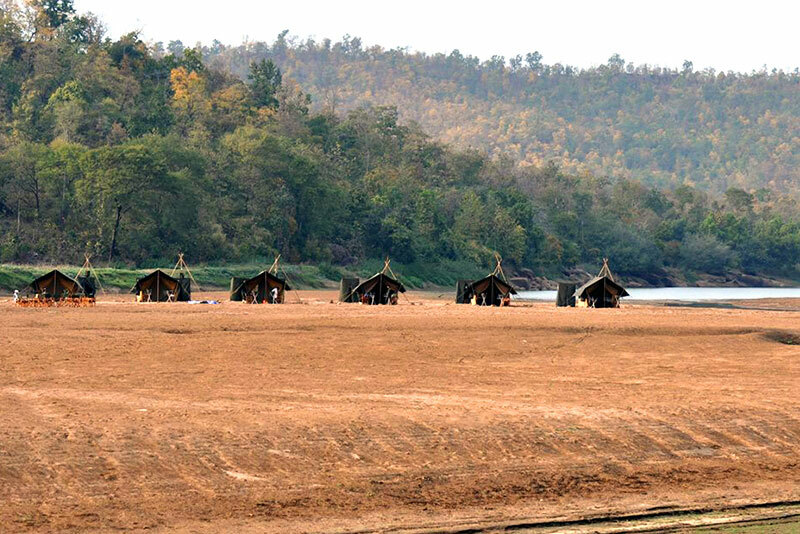 Bandhan is a small forest patrolling camp located deep in the Satpura Jungles, this camp is on the edge of a stream. This is retracing the trail by Capt J Forsyth of Bengal Lancer done about 150 years back. 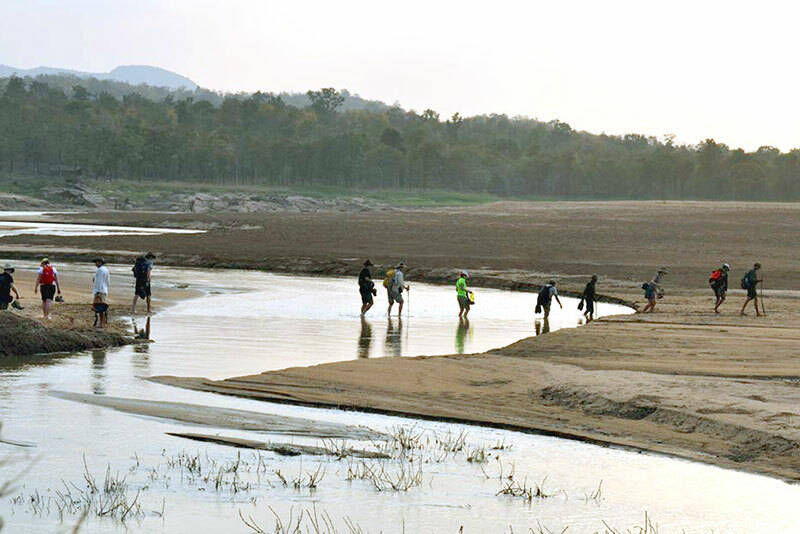 Day 03 Start full day walking to next camp through Satpura National Park. Today will be a picnic packed lunch at Jhela Village about 3 hours away. After lunch walk another 3 hours to Camp Manakachar. Day 04 Full day walking to Denwa Darshan - 7 hours in all. Lunch will be served hot on this day. 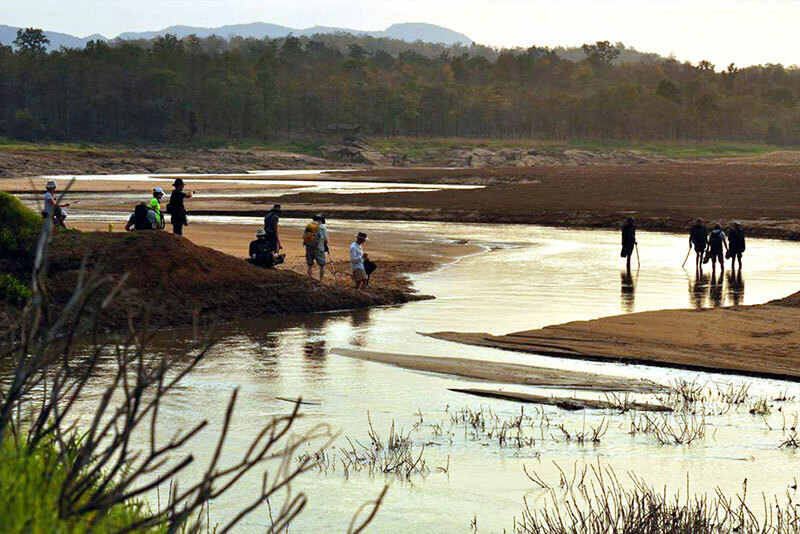 Day 05 After breakfast at your camp you will start 02 hours walk to the road head to be met by waiting vehicles and drive 2 hours Denwa Back Water Escape. Over night stay at Denwa Backwater Escape. 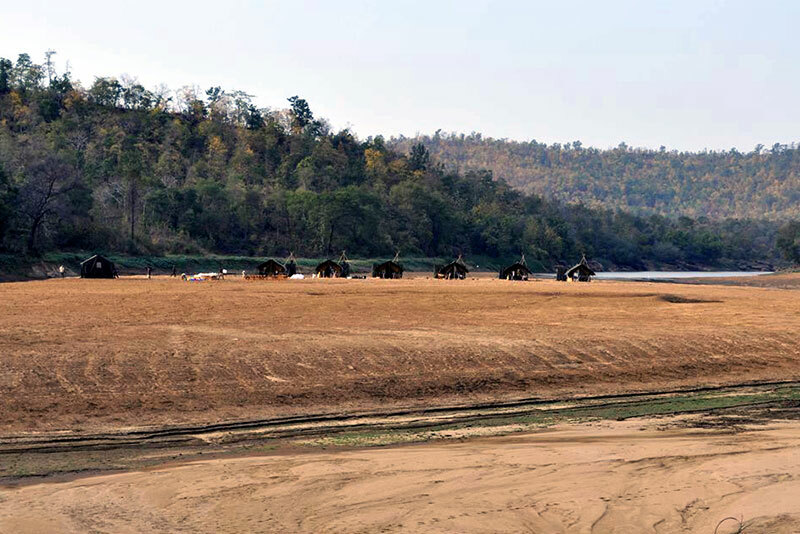 Day 06 You can connect from Satpura to Kanha National Park, Pench National Park, Bandhavgarh National Park for more wildlife sightings OR drive back to Bhopal for further connections.